Thank you for your letter of yesterday. I had just talked to Baroness Bilxen and she is definitely planning to come with me to London on the 25th. She is delighted at the idea of a party for her on the 28th. Dame Edith, and, I presume, Sir Osbert, are, at the moment, in Italy. The Sesame Club, 49 Grosvenor, would know when Dame Edith is expected back — They may be spending Xmas holidays abroad. It will be difficult to invite Sirs Herbert and Kenneth, unless Mrs. Scott has been introduced to their Ladyships. And has Mrs. Scott met Mrs. Sacheverell Sitwell? The Baroness was wondering about an intimate hotel in London — her publisher had suggested Claridge’s but she doesn’t want that. If you have any suggestions — 2 bedrooms and a sitting room — please let me know and I will communicate. I will let you know flight, etc. as soon as reservations are made. The Baroness wants to stay at her hotel 5 or 6 days (London). She then flies to Copenhagen. Many thanks for your letter, from which I note that Baroness Blixen and yourself will be arriving on Monday, November 25th. I would appreciate knowing the flight number and arrival time as soon as you have booked your plane and, if you wish, I will arrange for the car to be at the airport. I have sent the party list to Mrs. Scott in Bournemouth and she will no doubt plan the party on your suggestions. Regarding a hotel for Baroness Blixen and her secretary I have run up against a little difficulty here. The best ‘intimate’ hotels I know are the Connaught and Brown’s but neither of these can offer a suite for the 25th. 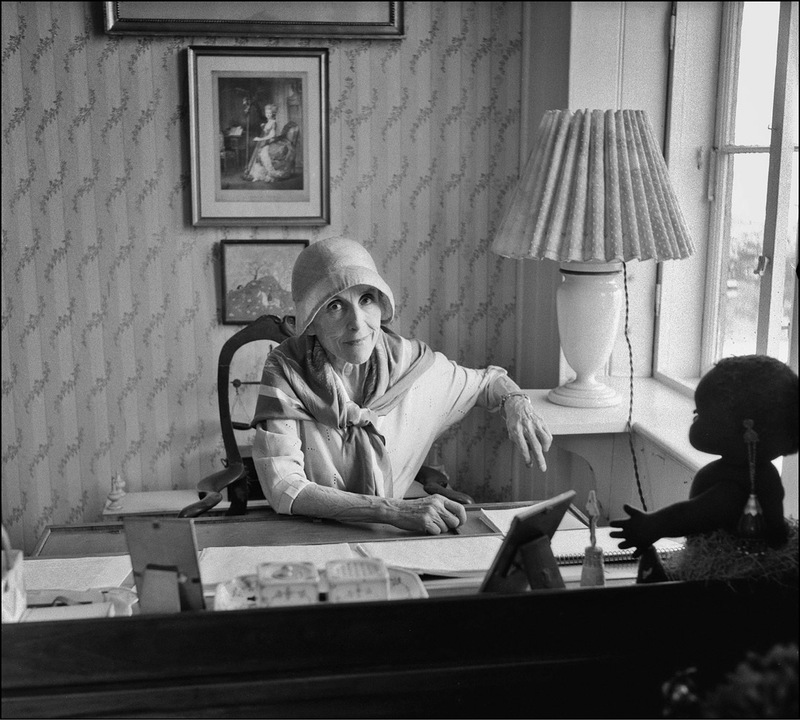 Mrs. Scott did, at one time, suggest Chesham Place as being a good place for Baroness Blixen to stay. It is only two minutes from the Lowndes Cottage and is a block of service flats. However, they only have double or single bed-sitting rooms, but I have ascertained they could let her have, say, one double sitting room (for Baroness Blixen) and on single bed-sitting room (for her secretary. I have also ascertained that Claridges could provide one large bedroom and one small bedroom and sitting room for this period (although you say that Baroness Blixen does not want such a large hotel). There are, of course, many small hotels round here and also in the West End but I cannot personally recommend them, as I know nothing about them. If you wish I could go and see one or two of them to see what they are like. It seems that London is going to be pretty full at the time you are coming. Please let me know what you would like me to do and I will be happy to arrange whatever you suggest. I have sent your letter and copy of this one to Mrs. Scott, who may possibly have some ideas to offer. I telephoned the Sesame Club and they understand that Dame Edith is to be away until the Spring. Suggestions for guest for party on Thursday, November 28th. ✓Oliver Messel (call and ask if there is a Mrs. Sutro + invite them both) also get address of Sir John Gielgud from Cecil Tennant. Edith and Osbert Sitwell ? Hugh Chisholm — for cocktails forthcoming Sunday? + the Zeus?